Kindred Being has been established by sisters Lilah Moriarty and Jaime Rodriguez. This online resource was opened in January of 2018 as an expression of the Spiritual Journey both have embarked on together. During their journey and awakening, they have found many tools that assist in this evolution. The Kindred Being online shop was created out of a strong desire to share the knowledge they have gained and the instruments of assistance. Making the tools available to others along with insight on how exactly these tools can be most useful, is an important aspect in the life paths of both founders. Both Lilah and Jaime have the gift of detecting energy. This means that they can feel subtle energy from objects. Through the use of this gift, the sisters were led to Crystals and Stones. Crystals have an innate ability to transmute, amplify, or activate energy. This is a process that the sisters can feel on this physical plane. They utilize the benefits of Crystal Healing in their everyday lives and desire to share the benefits with other Kindred Beings. The Kindred Being website is produced through direct Guidance from the founders higher selves, Angels, Spirit Guides and connection with source energy. 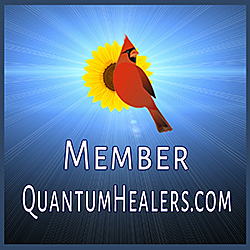 They are both trained Beyond Quantum Healing Practitioners or as they like to call it, Kindred Being Beyond Quantum Healing, and are offering past life regression sessions. Much of the information shared on the Kindred Being website has been compiled through research, direct contact with Spirit Guides, and information gained from BQH sessions. "We hope that you find the Kindred Being website useful to you on your journey. We welcome contact with all of our visitors and would love to hear from you!"